Histories of the National Mall | Frederick Law Olmsted Jr.
Frederick Law Olmsted Jr., “Frederick Law Olmsted Jr.,” Histories of the National Mall, accessed April 23, 2019, http://mallhistory.org/items/show/78. Olmsted Jr. was a landscape architect appointed by President Theodore Roosevelt to serve on the Senate Park Commission in 1901. The Commission was charged with improving the Mall's design and restoring elements of Pierre Charles L'Enfant's original plan. Olmsted Jr. established himself after apprenticing with his father, Frederick Law Olmsted, the landscape architect famous for building New York's Central Park. While working for the Commission, Olmsted Jr. was responsible for designing the landscape and parks system for the Mall. Throughout his life, he remained committed to national and civic parks across the US. National Association for Olmsted Parks. View original image. The son of famous landscape architect Frederick Law Olmsted and Mary Cleveland Perkins Olmsted, Frederick Jr. learned the family business of landscape design at an early age, traveling with his father to Europe and across the United States on business trips even while a schoolchild. He graduated from Harvard in 1894 and the next year became a partner in the family firm. The last project on which he worked with his father was the design of the landscape at George Vanderbilt’s Biltmore Estate near Asheville, North Carolina. 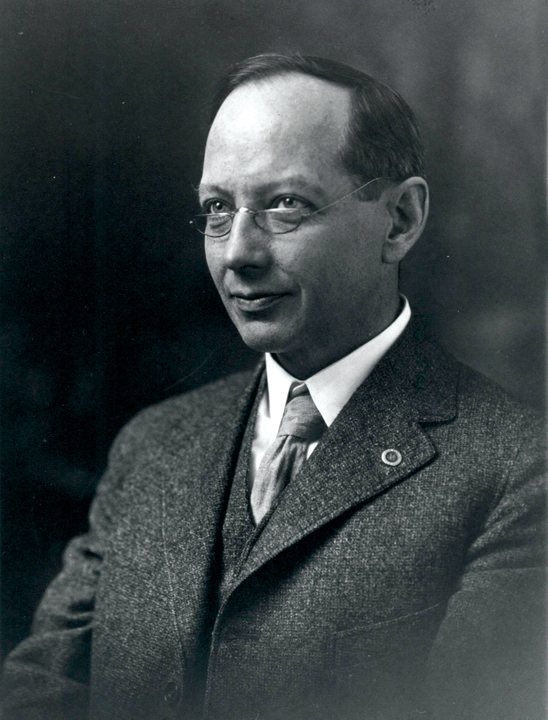 By 1898, his father had retired and he became full partner with his half-brother John Charles Olmsted. In addition to a ongoing work with the landscape design of Washington, DC, Olmsted served as landscape architect for the Boston Metropolitan Park System from 1898 to 1920. He sought to use parks as a way to reform society. He felt that the open spaces of parks helped preserve nature, enhanced the beauty of cities, and improved individuals' lives. An advocate for the conservation and preservation of land, Olmsted helped with the wording of the bill which established the National Park Service in 1916.